Pebbles’ technology is designed to create real-world objects in virtual reality environments. The company focuses on rendering virtual images of a person’s actual body, especially the hands and fingers. However, Pebbles noted its technology can display any body part and show details like wrinkles and contours or items held in a user’s hand. 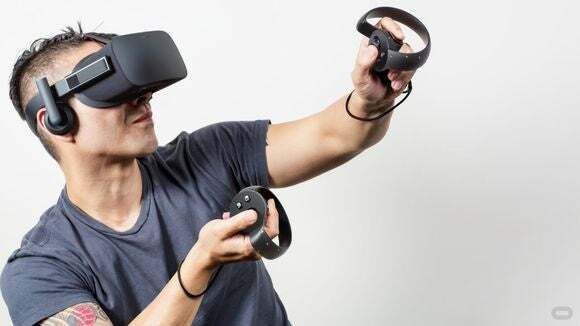 This would allow people who are using the Oculus Rift to see an image of their own hands in the display of the virtual reality headset. Other headsets use generic images of person’s body or don’t allow users to view themselves. The sensors and algorithms Pebble has developed to track hand movement will improve how people interact with virtual environments, Oculus said Thursday, adding that Pebbles’ employees will join Oculus’ hardware engineering and computer vision teams. On its website, Pebbles said it considers Oculus a leader in virtual reality and thinks the company can advance how people interact with machines. Founded in 2010, Pebbles is based in Kfar Saba, Israel. Terms of the deal weren’t disclosed. Oculus’ consumer virtual reality headset is set to go on sale in the first quarter of 2016.